Small Wonders: Jean-Henri Fabre & His World of Insects, by Matthew Clark Smith, illustrated by Giuliano Ferri—beautiful illustrations and a nice biography of one of the early entomologists, though it doesn't have not nearly enough information about the discoveries he made! A Beetle is Shy, by Dianna Hutts Aston, illustrated by Sylvia Long—a book that is both fun and gorgeous! This author & illustrator team will probably make it onto any list of nature stories I ever write. Are You a Snail? 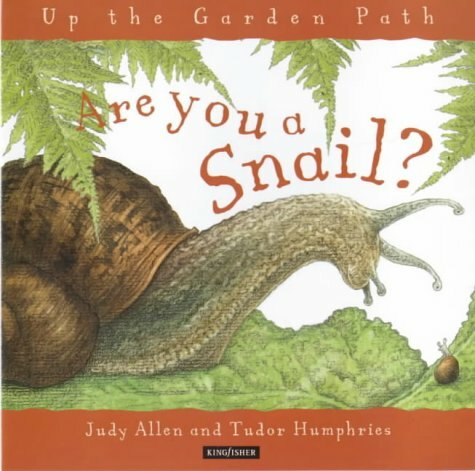 by Judy Allen and Tudor Humphries, Backyard Books—this one is part a whimsical series of nature stories that imagines kids as different insects, while explaining each insects behavior and abilities. Bees Like Flowers, by Rebecca Bielawski—a good introduction to bees for preschoolers. This book is very simple and a bit cartoony, but still thorough. Insect Detective, by Steve Voake, illustrated by Charlotte Voake—a cute introduction to the study of insects, with lots of ideas for a bug hunt outside. Spiders and other creepy-crawlies, by David West—some people might find this one a bit...creepy! It's an unusual sort of look-inside book, showing the internal organs of half-a-dozen invertebrates! In One Tidepool: Crabs, Snails, and Salty Tails, by Anthony Fredericks, illustrated by Jennifer DiRubbio—not exactly a ‘bug’ book, but it does feature a number of aquatic invertebrates, along with a fun rhyming story. Up in the Garden and Down in the Dirt, by Kate Messner, illustrated by Christopher Silas Neal—another book that isn’t a true bug book, but still shows a wide variety of bugs in their own habitat…down in the dirt. 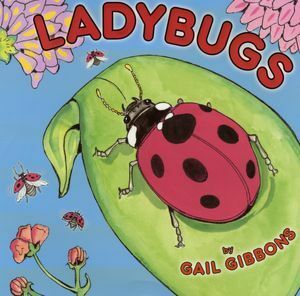 Ladybugs, by Gail Gibbons—this author is another one of our favorites for science/nature topics. Her books have a fairly simple art style, but are very well-written and interesting. Butterflies, by Seymour Simon—another fairly long book, but Simon's books a great in-depth read for grade-school kids. Backyard Insects, by Millicent E. Selsam and Ronald Goor—how do insects manage to survive? This book shows how, all the way from walking stick insects to click beetles. Pagoo, by Holling C. Holling—the story of a hermit crab. This book is a cross-over between picture books and chapter books. It's definitely written for older kids, but it was one of my favorites when I was growing up. 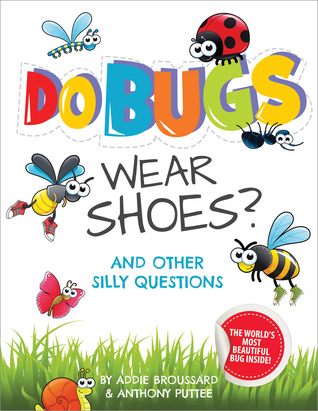 Do Bugs Wear Shoes, by Addie Broussard and Anthony Puttee—a neat assortment of facts and scientific explanations. Bugs by the Numbers, by Sharon Werner and Sarah Forss—tons of incredible facts, put together in an unusual illustration style. Insect (DK Eyewitness Books), by Laurence Mound—this series is always a great resource for kids. Ultimate Bugopedia: The Most Complete Bug Reference Ever (National Geographic Kids), by Darlyne Murawski and Nancy Honovich—an exhaustive reference book with phenomenal pictures. 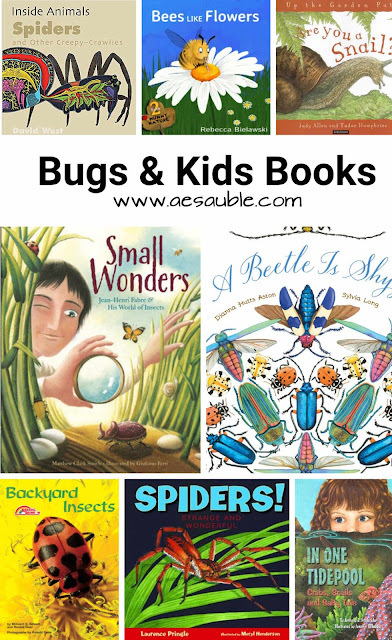 What are your favorite books about bugs, spiders, or other invertebrates? Leave a comment below with your suggestions! I've love to check them out. 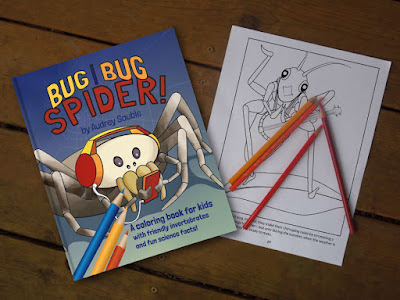 UPDATE: Bug, Bug, Spider: A Coloring Book for Kids is now available on Amazon. It has a fun backstory that you can read about here.